Hello everyone! It's been a while since I've last posted anything. Life has been busy! God has been opening my eyes and bringing me through some situations while I get to learn about myself. (More on that later). Today I'm here to chat about the Play by Sephora box. If you've been tuned in to YouTube, like I have you've probably heard about it a few months ago. When it was 1st launched you had to sign up and patiently hope that you could be picked to receive it. It is a beauty subscription box that's just $10! I'm frugal so I like a good deal. In the box each month you receive 5 deluxe size samples plus a fragrance. This is a pretty good idea for anyone who may be considering taking a stroll on the high end beauty side. I prefer drugstore for some items but it's nice to be able to try before fully committing to something more expensive. Now it's time to share this month's box! Each box comes taped securely. Let's look inside! Each box has come with a nice cotton drawstring bag that you can store everything in. Perfect for on the go! I love the bright popsicle and lips that makes me think of summer. Next up is Too Faced Chocolate Soleil bronzer in medium/deep. I've always wanted to try this since I've heard about it everywhere but couldn't bring myself to pay the money for it. It's a pretty small sample that fits into my hand, but I can't see me running out of it anytime soon. If you're wondering....yes, it smells like chocolate!! Ouai (pronounced "way") is a pretty new brand carried at Sephora so I was surprised to see it in this box. This is a decent size wave spray at 1.7 oz. First Aid Beauty is another popular brand I've seen on YouTube. I all about natural skincare so this intrigued me. I have sensitive skin so I'm interested in seeing how this cleanser works. There are so many pore minimizers out there and I am most excited to see a primer included in this month's box. I haven't heard anyone discussing this particular primer lately. But for someone who has noticeable pores I'm excited to give this a try. 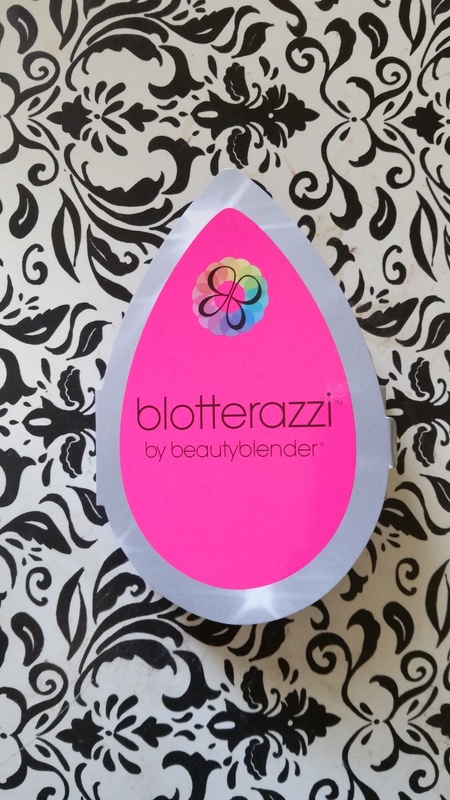 Last but not least is the blotterazzi by the beauty blender. I'm particularly curious about the claims of this sponge. I get a little oily in my t-zone and this may be helpful. It came with a liquid blendercleanser. Every box comes with a Play! Pass that you can use in store to get extra insider points with a purchase along with expert advice! 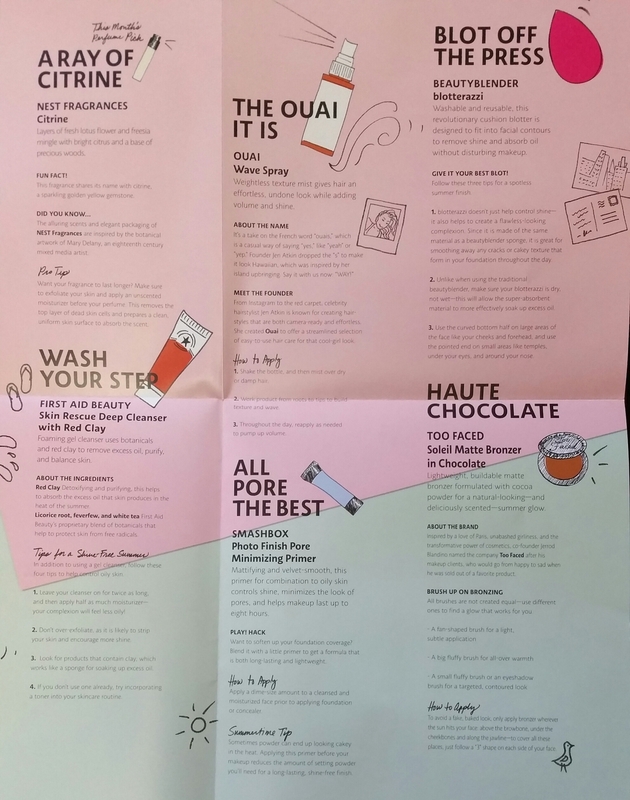 I've also shared pictures of the booklet that came inside. For $10 I think I scored some good deals with this box. The only item I'm not interested in is the fragrance. I will be trying the other products in the coming weeks so stay tuned for my thoughts!!! God bless and see you soon!